From Lady Gaga's character in "A Star Is Born" to Midge Maisel, these Halloween costumes are perfect for the procrastinating pop-culture buff. Like every year, pop culture offers a myriad of costume choices for Halloween. In 2018, we expect to see a lot of Black Panther, Thanos and the recently resurrected Michael Myers. But we surveyed the year (so far) in pop culture to come up with a few unexpected options. Because we can all do better than Kanye West in a “Make America Great Again” hat. It should really go without saying but none — we repeat, none — of these costumes necessitate darkening your skin (America has a long and painful history of blackface) or pretending to be another race or ethnicity. Just. Don’t. Do. It. If you want to dress as Lady Gaga’s character from Bradley Cooper’s well-reviewed remake, you have choices. One is to copy Gaga’s look during the drag-bar scene, when Ally wows Jackson with a stunning rendition of “La Vie En Rose.” The clothing is minimal here — you’ll need a simple black slip, sheer black stockings and a pair of understated black pumps. Pull your hair into a sleek, high bun (bonus points if you can manage a few curly tendrils). The other key to nailing this look is the makeup. You’ll need to cover up your eyebrows and draw them on pencil-thin with black eyeliner. Swipe on some shimmery eye shadow, a vibrant red lip and voilà! Carry a rose with you, or incorporate it into your hairstyle. Some contouring skills would come in handy to help achieve Teddy’s chiseled nose, chin and cheekbones. You’ll also probably need a wig to replicate Teddy’s fluffy black coif. You can get a good look at him in Vanity Fair’s “Notes on a Scene” with “Atlanta” director Hiro Murai. Beyond that, you will need a burgundy robe (preferably velvet), an ornate scarf and a crisp, white-collared shirt to go underneath the robe. If you’re extra crafty, you can accessorize with one of those oozing, soft-boiled ostrich eggs Teddy likes to eat for breakfast. And if you’re going all in, you can carry a voice recorder with you to leave voice notes for the butler you don’t have. The summer’s most-watched couple is officially kaput. But Grandson, as these two young stars were collectively known, endures in our hearts, minds and … Halloween costumes. For Ariana, you’ll need to sport a high ponytail (with extensions if you want to be really authentic), knee-high boots and an oversized jacket. If you’re going for post-breakup Ariana, you might as well grab a few band-aids to cover up those regrettable tattoos. Davidson, meanwhile, favors expensive streetwear, so think crisp graphic T-shirts and oversized hoodies, paired with joggers and fresh sneakers. You’ll find a plethora of costume options on “Riverdale,” which blends the Archie comics with the allure of teen TV. Go for preppy sweetness — topped with a ponytail — if you’re a Betty, throw on some pearls, heels and a swipe of crimson lipstick if you’re a Veronica. Archie and the gang would make a great group costume, and the fandom around this show is such that you can actually buy a replica of Jughead Jones’ signature beanie. You can also go the Josie and the Pussycats route. 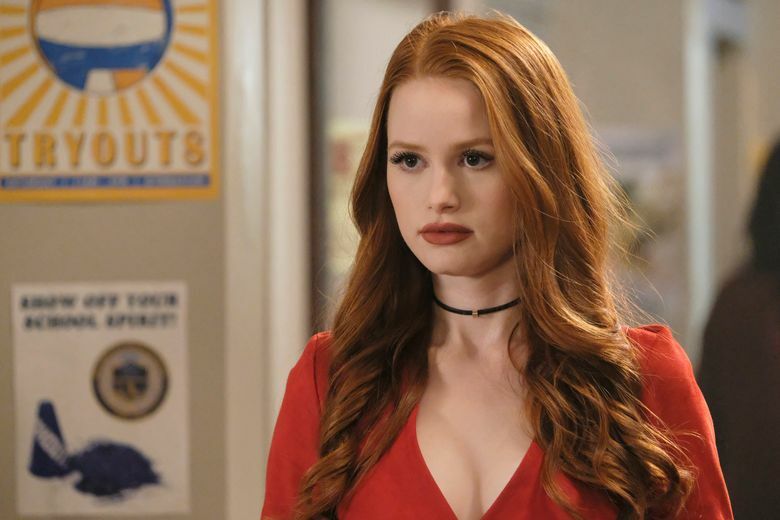 But you’ll probably have the most fun as Cheryl Blossom, whose queen-bee status goes into hyperdrive on The CW series. Above all else, you’ll need fiery red hair and a deliciously bad attitude. The rest is really up to you because Cheryl does what she wants. The siblings from Netflix’s creepy thriller “The Haunting of Hill House,” inspired by Shirley Jackson’s 1959 novel, would make a great group or family costume. The possibilities are endless here since we follow the Crains and their demons from childhood to adulthood. You can even add a ghost or two to your clan. Just make sure the Crain sisters all have long, glossy brown hair. That’s important. 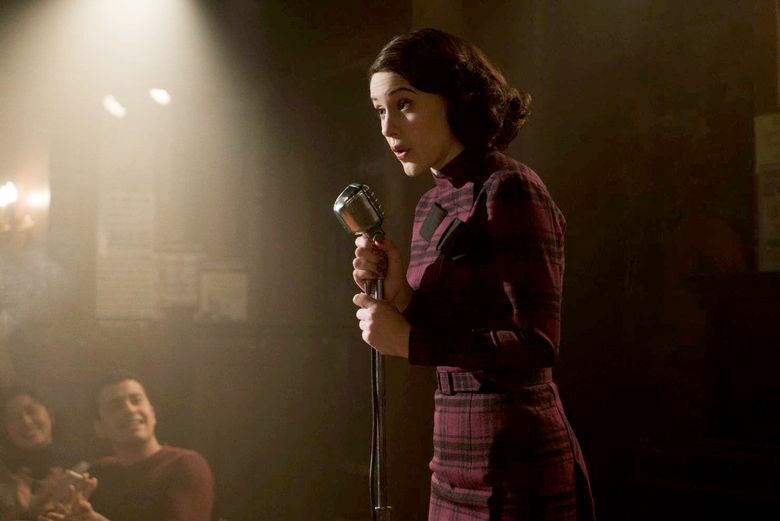 If period costumes are your thing, “The Marvelous Mrs. Maisel,” Amazon Prime’s award-show darling, provides a host of costume options. The most obvious one is Mrs. Maisel herself. To channel the budding stand-up comedian, played delightfully by Rachel Brosnahan, you’ll need a dress worthy of an 1950s Upper West Side housewife, er, divorcee, a vintage microphone and lots of chutzpah. This look is inspired by the music video for Bruno Mars’ “Finesse” remix, which features rapper Cardi B. You can achieve it with some classic ’90s gear (Mars paid homage to “In Living Color” in his video), so be ready to wear a lot of bright colors. For Cardi, start with a backward baseball cap — she wears neon green in the video, but any bright color will do. Throw on a graphic T-shirt (crop top optional), some distressed denim and a cute bomber jacket. Be sure to accessorize with large hoop earrings (the bigger the better) and some chunky gold rings and bracelets. Mars also gets in on the gold accessories with several braided chains and a flashy watch. Pair a striped, hooded T-shirt with a long-sleeved shirt and baggy jeans, and you’re ready to go. Have a pristine prep-school costume and some fake blood? You can be one of the secretive students from this buzzworthy Netflix show, where boiling tensions at an elite private school lead to murder. The show is set in Spain, so make sure you pronounce it “Grathias” when you say thank you for your candy.